Not sure how many people who read this blog are aware of this, but on Saturday one story from the NHL Combine (a series of physical tests used to evaluate draft prospects) immediately dominated the scene before being quickly swept aside in an effort to deflect attention. 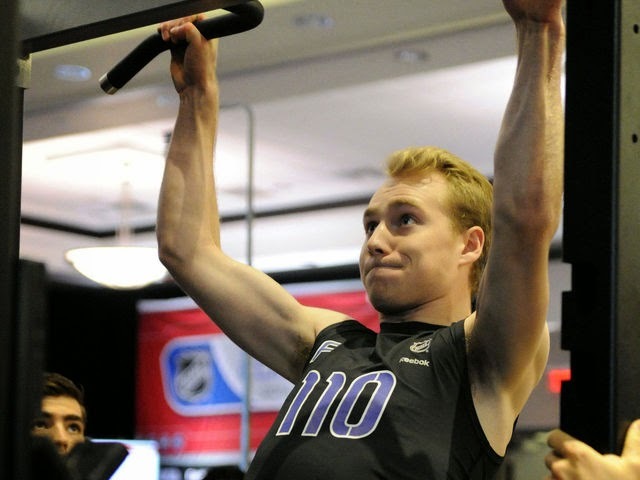 The number one draft prospect, Sam Bennett, could not do a single pull up (read the story here). Sam himself, as you would expect, shrugged it off - probably as much out of embarrassment as anything else - saying that the number of pull ups you do won't help you win games. Most of the scouts and coaching staff seemed to echo this sentiment, and dismissed this abysmal display of physical fitness as not particularly relevant to hockey. 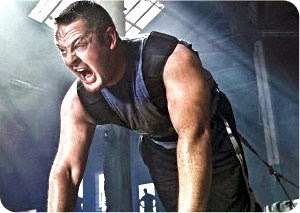 Here's my question: if someone is so weak that they can't pull their own bodyweight up to a bar even a single time, how well do you think they'll resist the forces of a 200lbs body slamming into them at 30mph? There are so many issues at play here, and any one of them would make a worthwhile article, but suffice it to say that a lot of it stems from the fact that the development of these athletes is being managed by people who have no idea what they're doing. They've watched "Youngblood", Gatorade commercials and a bunch of videos online, and/or they're referring back to their own youth and how they trained and decided that these things have given them the expertise necessary to develop top-notch athletes. It doesn't. It takes more than attending a class, watching a video or even training yourself to learn how to develop an individual's physical and athletic potential and for those of us who DO take the time to understand it, it is a constant evolution and never-ending research - trying to evaluate what methods are hype, what are groundbreaking, what really works and what to eliminate. There is no single degree or certification that will tell you 100% that a person knows how to do this, and fewer still who possess the multitude needed to be knowledgeable and effective. Add to that the fact that this individual also needs to have the temperament, empathy and natural ability to coach, and you understand why phone apps, books and someone who did a weekend certification because they "really enjoy fitness" can never replace the skilled coach - and really, this applies to everyone no matter whether they want to learn how to pick up their baby without throwing their back out, or complete a pull up at a pro-sport combine.